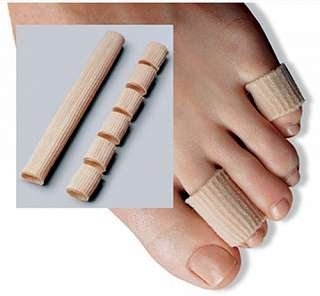 Unlimited Motion Gel Tubing for Toes & Fingers are fully lined with medical grade mineral oil gel to provide all around toe and finger protection while absorbing shock and pressure. Tubing can be trimmed to meet individual sizing needs. This product is washable and reusable. Available in two widths.